Neo Queen Serenity's Court and Allies of Crystal Tokyo are planning a new mission to take back the planet that was lost in an endeavor undertaken a month ago. "Thank you for coming to this information briefing," Sailor Mercury greeted solemnly, standing at a podium in the middle of the semicircular room. "On the desks in front of you, you will find a packet of information that summarizes all of the information we have gathered so far on Zenar, the planet we intend to invade and repossess in the name of Neo Queen Serenity. Should our mission prove successful, the planet will be considered to be under the protection of Earth and Crystal Tokyo until such a time as their own Sailor Senshi awakens and can protect the planet from Chaos." She opened the envelope before her, indicating that others should follow suit, and pulled out a stack of papers. These she set aside for now, her intense blue eyes searching the room. "I know there have been rumors circulating about this mission, and the one before, and before we begin I intend to put those rumors to bed. First and foremost, this is not a colonization effort. Second, the previous mission's failure was not the fault of those involved; miscommunication from all sides and sources paralyzed the attempt from the beginning, and any further slights made towards those who were on that mission will result in a ban from the Crystal Palace for the foreseeable future. We simply will not tolerate such harassment." She held their gaze forcefully, her eyes moving from person to person, pinning them in their place, pushing shame upon those responsible for the rumors of ineptitude that even now circulated in whispers around the castle. After the initial reception of the Fairies of Zenar, Neo Queen Serenity had made a public statement, appropriately vague, as to their appearance, but before the fairies had been relocated some of the more vocal palace workers had passed along rumors to their favorite senshi. They had been dressed down for spreading such unfounded lies, but still the problem persisted, and Mars had had a hunch that it could have been one of the visiting Senshi or dignitaries who was culprit. While they did not like to believe such a statement, it would explain why the lies persisted, and why those that heard them were inclined to spread them. Giving the room one final glance, Mercury continued. "The first thing you will find in your packets is a brief history of the planet Zenar, including its end via Nuclear War and the healing effort put forth by the Fairy natives of the planet. It includes some history and culture of the people, as one of our objectives includes a rescue attempt of their Queen and Princess." Many millennia ago, Zenar was a technologically advanced planet. Their main lifeforms, humans evolved, learned, and grew like many other civilizations across space, but unlike the most successful of those civilizations, politics and personal greed would not allow the planet to unite under one banner, and multiple wars broke out over differing ideologies. The last of their wars would be their greatest, and a misunderstanding stemming from a attack made by a single radical group led to planetary nuclear war. The scars left by that event ran deep, affecting the planet from its atmosphere to its core. Unbeknownst to many humans, they were not alone in being an intelligent race. From the dawn of their planet lived a secondary race; one that was quiet, that kept to itself out of fear and preservation of their society: the fairies. There had never been many of their number, but they worked hard to repair the forests of Zenar and keep the wildlife living in harmony with each other. Their skills included both plant growth and healing, as well as negotiative and protective skills for the weaker species of Zenar. They somehow survived the nuclear blast that destroyed other life on Zenar, awakening hundreds of years later from crystallized flower pods to a world that was nowhere near familiar to them. Confused and fearful of the beasts that had mutated in the radioactive landscape, they nevertheless banded together to repair Zenar to its former beauty. Their task is long and arduous; they have been at it for well over a hundred years now, slowly repairing and healing the world. Their efforts were strengthened from the very beginning, as the young leader of their people found a power within herself and her planet that allowed her to focus their healing energies and expand them tenfold. They made her their Queen, and this power of hers was passed on to another, usually her daughter, when she felt it was time. Together, they healed their world, keeping clear of the more dangerous of their foes, and had spread their magic over nearly a quarter of the planet. But all of that was lost when the Evil One arrived. Crashing down to their planet on the back of a meteor, the Evil One’s aura awakened the restless spirits of the humans who had died in fear, anger and agony in that last and greatest war, and their energy amplified the evil feeling tenfold, giving the Evil One more and more power. The Evil One took route very near the central home of the fairies, where their Queen lived, and quickly it started to corrupt their work, using its influence to push the freshly-healed forest into a state of premature decay. With its powers it summoned new evils and set them loose into the forest to further stop the fairy progress, for it saw the potential in Zenar. With its angry history and position within the Galaxy, it would make an excellent base for a planet of Chaos; the only thing standing in its way was the Fairy Queen’s resistive magic. Quickly the Evil One found the best way to destroy fairy morale: to warp the souls of some of its populace and turn them against their own people. One day it happened to get lucky, and ensnared the current Fairy Queen’s very own daughter. Warping her hadn’t been easy, but once complete Queen Mana quickly offered herself up, convinced that she could heal her daughter, else exchange places with her. The Evil One kept them both. During this time, the old fairy queen, mother of Mana, reassumed command over her people, and in a hurried council session decided to seek help to find and rescue Queen Mana before it was too late. She sent Lillyfea, a young leader of their people, to space to search for aide from other planets, and did the best she could waiting for Lillyfea’s return. Lillyfea quickly found another civilized planet, and with a few quick words, was off again to find the planet Earth of the Solar System, and seek aide from Neo Queen Serenity and her Sailor Senshi. Neo Queen Serenity obliged, and sent to Zenar a team of Sailor Warriors to recover the Queen, and destroy this seed of Chaos, the Evil One, before it had the opportunity to take root. Unfortunately, the mission was unsuccessful, and Queen Mana was corrupted, her powers warped to destroy rather than heal. 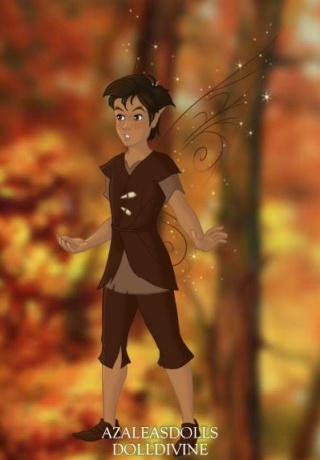 The Sailor Warriors were able to save many of the fairy people and return to Earth, but Zenar was lost, temporarily. Neo Queen Serenity, in council with her Senshi , the Warriors that had traveled to Zenar, and a council of the Fairies of Zenar, hastily decided to travel back to the ill-fated planet as quickly as possible, and destroy the Evil One before the planet was truly lost, hopefully finding and somehow healing the Corrupted Fairies in the process. Now most of the fairies of Zenar have taken refuge on the planet Achelois, finding Crystal Tokyo and Earth to be too unfamiliar to be comfortable, and they wait with heavy hearts to hear of the fate of their home. "The next few pages outlines the key figures of the Zenarian Court, including the three fairies that will accompany the team on their mission to retake Zenar." The Royal Family - On Zenar, the Queen of the Fairies passes down the bulk of her power to her chosen successor; typically this responsibility is given to her daughter, who is raised from birth learning how to cope with the immense burden and weight of her people resting on her shoulders. Despite a few attempts, males have never been able to accept the seed that is passed in the ceremony; it is always a girl; should a son be born to the current Queen and no other child, she is able to pass her power down to a successor not of her own bloodline. 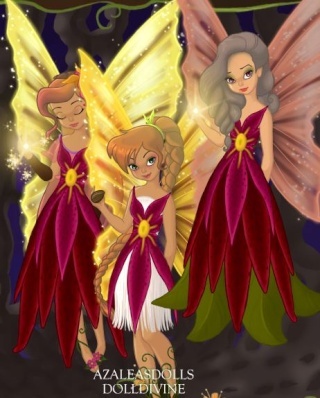 In the case of Queen Mana, when Princess Flora was taken and turned, the second plan, should Flora be unrecoverable, was to pass her powers down to Lillyena, and Lillyena would have served as the next Fairy Queen of Zenar. Now that Mana has turned, the fairy people have no way to accept or use the immense power entrusted to the Fairy Queen, and without that connection their efforts to heal the planet would have doubled, even without the presence of the Evil One. If a way can be found to cleanse Mana... perhaps there is hope for Zenar. Grandmatre Rosen – Grandmatre Rosen was once Fairy Queen, and held the power to amplify her people’s healing energies to renew the forest and heal the planet from its troubled past. Under her reign, several fairy communities were formed throughout the planet, so their powers would spread from many directions at once. Hers was a time of great success, in no small way affected by her leadership. She married and had a daughter, Mana, and when Mana was of age and Rosen felt she was ready, Rosen passed her powers down to her daughter, and took up the title her own mother once had: Grandmatre, High Mother of the people. She retained an advising role in their world, but by-and-large stepped out of public life to let her daughter shine. Her daughter found love and had a child, Flora, and Rosen was a great help in raising her. She loved her dearly, and when the Evil One fell she was most worried for Flora’s safety, as the young and brave woman would often go on patrols with the scouts, intent to see exactly what was happening in their forested land after the meteor. When she did not return from one of her scouting forays, Rosen feared her dead, as many other fairies had been killed of late, but when Flora reappeared with deadened grey skin and a malicious look, she felt her fate was worse than death. Rosen had held a key role in attempting to heal the fairies corrupted by the Evil One’s miasma, having spent her entire life with the healing magic, but whatever she had tried had not worked, even with Mana’s powers added to her own. Through their attempts, however, she could tell that beneath the corrupted and primal surface and emotions of these poor fairies, their true selves lay intact and helpless. Their inability to act of their own free will was what Rosen considered to be worse than death, and to see that happen to her own granddaughter, Flora, made her steel her heart. To then so quickly lose her daughter Mana to such a fate made the older fairy seal off most of herself from the pain. She operates now mostly out of the logical center of her mind. She is quick to forgive, whether out of an altruistic nature or out of an overwhelming sense of hopelessness she herself has not realized. She is slow to show emotion of any sort now, and wills herself to keep a strong face around her people. She designated a new fairy to be in charge, one of Mana’s councilmembers, and stays on in Crystal Tokyo to help in the research efforts. 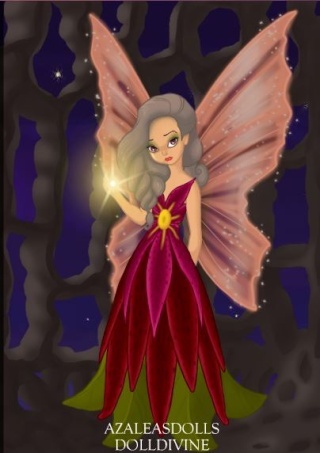 Lillyena – Lillyena is a younger fairy, one of Flora’s contemporaries, who stood out from a young age with her leadership abilities and aptitude for healing. She is diplomatic, but succumbs to her emotions rather quickly – anger and sadness especially. She is typically fair and levelheaded, but sometimes lacks in planning. She was a close friend of Flora’s, as the two would often be in the same group during healing expeditions. They were thick as thieves in their younger years, but while Lillyena was serious about becoming part of the council and leading the fairies through a difficult time, Flora wanted to avoid being stuck in the Glade for as long as she could, preferring to face their problems head on with her own two hands rather than stand back and let others do the dirty work for her. They fought often about that concept, Lillyena often bringing up Flora’s future as a reason she should stay out of the ever-increasingly dangerous forest. If was after one such fight that Flora disappeared, and Lillyena has not forgiven herself for her harsh final words. This time she will join the group of Warriors and attempt to save their home world, and her friend and Queen in the process! Leafe – Leafe is new in his title of Captain of the Guard, having inherited it from his mentor, who had been killed in a Goblin attack nearly a year before. He is a straight-laced young man who makes and follows orders… until he met Flora. 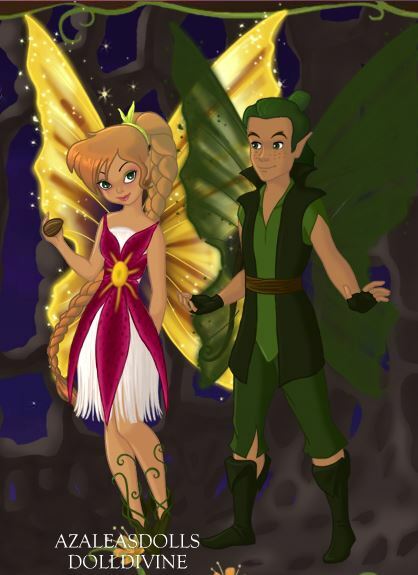 Originally from another fairy community, he and his unit traveled to the Glade only recently to train and learn under the Captain of Glade’s Guard, and upon meeting the forward young Fairy Princess, Leafe’s world was turned upside down. She wasn’t supposed to go on scouting trips. She wasn’t supposed to be trained in combat. She wasn’t supposed to disobey orders, and yet there she was, doing all three, and twisting his stomach in knots besides. While he had tried – repeatedly – to resist his attraction to her, as it wasn’t proper or right or in the rules for someone of his station to even dream of such a thing, she seemed to have no such issue and pursued him in earnest. Only after discussing his problems with his mentor, and his mentor laughing at him for such trepidation, did Leafe finally give in and let himself enjoy her company as much as he had always wanted to. Flora had gotten away with all that she had, it turned out, because the Captain of Glade’s Guard was like a father figure to her, and he was very much in favor of their relationship as she had been bothering him about Leafe ever since Leafe arrived. Glad to see that the attraction was mutual (previously fearing what would happen if Leafe was uninterested), he had been all for their courtship, and even defended it to Queen Mana when questions arose. Leafe and Flora were good for each other. She made him less of a stick-in-the-mud, making him see that rules weren’t everything, while he pulled her more towards her responsibilities, showing her the repercussions of her thoughtless actions. They worked incredibly well together, seeming to intuitively know what the other was doing in combat, seemingly thinking on the same wavelength on scouting missions, always on the same page, even if arguing different sides of the story. With her gone, Leafe’s anger can and often does get the better of him. He’s terribly afraid for her, his mind at war with his heart: he knew he should give up. No one has ever been saved before after being corrupted. The Flora he knew was gone, and would never be coming back. Yet his heart still held out a stubborn hope that she could return. Either way, this time he won’t be standing back. There were no more fairies to protect back at home – he was going forward with the Warriors. They might be after the Evil One, but he would find Flora, and would help them help her, or die trying. And if nothing worked… then he would end her life, and then his own. Mossen – Mossen has always been a bit… high strung. He can be a little overdramatic, is a little sassy or sarcastic, and has been known to run away. However, when the going gets tough, Mossen can surprise even himself with his own bravery. He stands up for himself constantly, as most overlook or underestimate him, but while it has earned him his paranoia, he is the most accomplished Scout the Fairy Glade has ever produced. His notes on the new denizens of the forest have been extremely useful to the Guard, and his quiet observations and mental mapping of their ever-changing home have saved more lives than can be counted. His typical outlook is to observe and record, never interacting. Interactions get people killed. He’s quick, he’s smart, and he’s good with camouflage, but this innate talent was why he was chosen to become a Scout. Mossen has an innate ability to always find North – he can feel the direction, and much like the metal in a compass will align itself to the poles of the planet, so, too, can Mossen. Compasses, however, have been nearly useless on Zenar for hundreds of years, as the violent activities and new evil have wreaked havoc upon the magnetic north and south poles of the planet. The age-old test of moss growing on the north side of trees has already failed, as moss grows wherever it wants depending on the environment, so Mossen’s talent has been the only tried-and-true method of mapping around the twists and turns of the forest paths. Mossen is always making mental maps, relating how far and what way to where he wants to go and where he has been. While he has successfully written his works down, he often is asked to accompany important missions in case they are sidetracked away from the outlined pathway. Queen Mana herself chose him for scouting, realizing his ability from an early age, and has fostered the boy’s esteem since he was small (his personality usually rubs his peers the wrong way). Flora found him quirky and usually cute, but while she appreciated having him on her forays, she would get annoyed with him frequently. Leafe has always appreciated Mossen, and patiently waits through his occasionally neurotic tirades and attempts to calm him down when things get to be too stressful. Lillyena, being Mossen’s cousin, interacts with Mossen much the same way Leafe does. Mossen sees Flora like a sister, as the two would often bicker but that real appreciation and fraternal love would come through, and considers Leafe to be his best friend. Lillyena is like a sister, too. An annoying one. Of everyone in the Glade, he most respects and admires Queen Mana for who she is and what she did and does for him. He was worried for Mana’s sake as well as his own when Flora disappeared, and when Mana left to follow her, his panic fully set in. He agreed to lead the team of aliens to the Castle, but he wanted to get there as quickly and as safely as possible, to get there in time to rescue Mana. He hasn’t asked himself if he believes a corrupted fairy can be saved. He’s afraid of the answer. "Followed by a rundown of the native habitat, the forested area faced by the first team. If all goes according to plan, this mission should not involve entry into the forest, but as the enemies we face within the target area are unknown, researching the natural flora and fauna is critical." All forms of advanced technology cease to work upon entering the planet's atmosphere. 1. Paranoia. This soul was previously betrayed, and knew it was coming. They now haunt the forest and possess any passersby that they can in an attempt to relive their final moments and get the betrayer before they themselves are killed. The longer this spirit is in possession of the body, the more and more paranoid it becomes. 2. Shortcut. This soul previously belonged to an explorer that was convinced they had an innate sense of direction and knew a short cut. They choose paths on gut-decisions, oftentimes getting far more lost than necessary. Traps and Snares – These are areas of the forest best to be avoided, but can occasionally be found in unexpected places. 1. Goblin Keep – North East of the Glade. The run-down building the goblins use as their base. Avoid. 2. Acid Lake – South East of the Glade. The air is an irritant, the liquid is highly acidic, and there’s a monstrous skeleton fish in there. Spiders don’t like the scent and don’t pass beyond where the smell becomes strong; therefore Goblins flock there to create smoke bombs to drive Spiders away. The scent can be marginally counteracted with wildflowers from the forest. 3. The Hut – South East of the Glade, south west of the Castle. A broken-down house where a creature inside eerily and angrily screams when it senses something passing. Closer observations have not been made; the walls occasionally shake in places, suggesting the long reach of something inside. 1. Spiders – human-torso-sized black spiders that travel in packs. Middling speed. Can shoot webs out of their abdomen that wrap targets quickly; webbing can only be removed with something sharp or melted in Acid Lake. Spiders avoid Acid Lake at all costs; they cannot stand the smell. 2. Spider Mistresses – human-sized hybrids, half woman, half spider, that lead and can command the spiders. Act like an Ant Queen to Spider drones. They spit web out of their mouths, and have a stinger on their abdomen. Venom from the stinger dehydrates the victim, making their flesh crumble as it spreads. Their venom can only be counteracted with the venom of other Spider Mistresses, as evidenced when spiders from opposing queens run back to their queen to be stung after being stung by an enemy queen. They dislike acid lake and are in a territory war with the Goblins; they are winning. 3. Gnome/Goblins – dwarf-sized creatures with yellow-tinged skin. Relatively advanced; have their own language, make tools, form plans. Ruthless. Can create and use smoke bombs, fights with cruel knives, bows and arrows. Strong, relatively quick. Fond of sneak attacks and knocking targets off their feet to slash throats. In a territory war against Spider Mistresses; fear the spiders for their venom and webs. 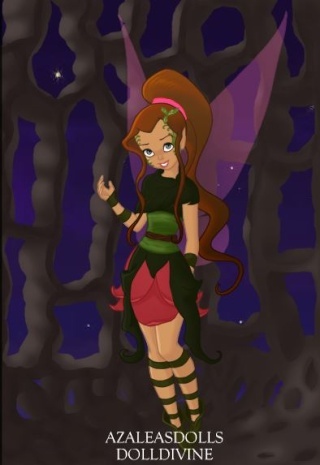 Will capture fairies, thinking they can steal their magic to help them fight against the Spiders. Oftentimes experiments end with killing the fairies and smearing their blood on weapons. Can be reasoned with, given proper stimulation. Currently worship She of Mercy, Sailah Sahtan. 4. Lizards – poisonous lizards that can camouflage their skin to match the environment, but they are naturally brightly colored to warn of their venom. Very fast, fond of sneak attacking and attacking using their long tail or claws. Any contact with its skin will numb the area immediately, and the numbing sensation spreads until muscles are useless. Likes to eat fairies. 5. Biting Bugs – live in dead trees, sucking the remaining life force out of them. Will attack anything that attacks their own, biting and causing huge welts. Too many will overpower a person and send them into anaphylactic shock. 6. Trolls – very very tall, nearly resemble trees from a distance. Slow, but uses size to crush enemies, and impressive strength to wield a huge club. Has bad breath that can cause a target to faint. Can use club to trip or knock enemies off their feet. Thick skinned, is not bothered by Biting Bugs. Simplistic, easily manipulated minds if trust is earned. 7. Fireflyers/Dragons – huge creatures, highly intelligent, ruthless. Can breathe fire. Protects the castle by patrolling the poisonous skies; is not susceptible to poison. Extremely high constitutions. "And, finally, a brief overview of our plan to infiltrate the Castle, rescue their missing Queen, and even more importantly, fight and overcome the Agent of Chaos building power within its walls." She paused, letting the last sentence sink in, letting them think over what was at stake. The Castle is protected by Dragons and surrounded by a mote. The keep’s courtyard is filled with Chaotic enemies and corrupted fairies. Secondary: Locate and attempt to heal Queen Mana and Princess Flora with the power of the Pink Moon Crystal. 1. Upon reaching Zenar, fly directly to the castle to save time. 2. If dragons show, attempt to down dragons as quickly as possible by aiming for their shoulder/wing joints and continue to the castle. 3. Within the courtyard, Enyalius will use Crushing Burden to subdue all enemies at once; the opportunity will be used to get within the castle and barricade the door before they recover. 4. Stick together if at all possible. Split only when contradicting clues are discovered. "You heard me correctly. Zenar is currently the base of operations for an Agent of Chaos, who, so far, has warped the native creatures's minds to its will, corrupted the intelligent life forms, the Fairies, and used them as puppets to its will. It has put the planet into a state of constant decay, feeding off of the rot to make itself stronger. Worst of all, and multiplying its powers, the residual restless souls leftover from the Nuclear War, filled with anger, pain, loss, and hopelessness, feeds into its strength." She paused, "If we are unable to defeat this enemy now, Zenar will become a breeding ground for an evil that could spread throughout our galactic sector. We cannot let that happen." She eased up, standing straighter, and put on her best press-conference face as she invited, "I will now answer questions as to this mission and the expectations of those who volunteer to accompany Princess Small Lady Serenity to the planet Zenar." To join, reply in character to Mercury and link your character profile aaaaand include your Skype name so you can be added to the new OOC group! As “The Collector” and "Decay" before it, Decay: Return to Zenar is an all-encompassing roleplay that will involve live-chat RPs, forum-based RP, RPG dungeon crawler elements, and will operate on a one-month* Roleplay Event schedule. Players of Decay will be held to an Activity Rule that requires at least one post every two days, else their character will be deemed lost, only to be recovered at the end of the story. Also as in “The Collector” and "Decay", Decay: Return to Zenar will happen in the Galaxy Cauldron Crystal Tokyo GC-Canon storyline, roughly 1 month after the events in Decay, 6 months after the events of The Collector, which means Otaku characters that participate in this storyline can choose to add the event (and any possible acclaim) into their character’s official history. ¤Note: Otaku players in The Collector or Decay may still edit their character’s profile by replying to their profile thread with any changes they wish to make (i.e., their ability to fly through air and space, any item they gained from the Lost Senshi, and an addition to their history about the events that transpired;) however, these changes need to be approved by Sailor Pluto before the start of this event (so get on that asap). Super important note for Decay players: you totally want to add that you were in Decay to your profile to make it official. Not hinting that might be important when redoing your dungeon crawler profile or anything. Accepted Otaku Senshi (including those who had not participated in “The Collector” or "Decay") and Accepted Canon Solar-System Senshi may apply; however, note that this RP happens in the time of Crystal Tokyo, after Chibi-Usa has returned from the Galaxy Cauldron at the end of Stars – keep this timeline in mind as it may drastically effect your character (and whether you can use them nor not!). ¤Additional note: if you would like to adopt an otaku character specifically for this event, see the Otaku Adoption Area! ¤¤Other Characters (non-senshi) will need express permission from Sailor Uranus before joining; PM her for details! CHARACTER REQUEST: For this Roleplay Event, we will need a Princess Small Lady Serenity/Sailor Moon. If she is unclaimed, she will be NPC'd by Sailor Uranus to move the story forward. Princess Small Lady's Guardian Senshi (Sailor Quartet) are invited to join and accompany their Princess to this dangerous planet. Before we start the game, I, Sailor Uranus, will post a reply to this thread (and paste in the introduction here) instructions on how to create your Dungeon Crawler profile. These profiles act similarly to Dungeons and Dragons profiles, wherein you assign a given number of points into different parameters to affect dice rolls during gameplay. =) For example, in The Collector, damage dealt was determined by the roll of a die; in Decay, we'll still roll the die, but you get attack bonuses based on how many attribute points you put into strength. You can ask me, or any of the Decay participants, about these if you want a quick rundown. Decay Participants will have the opportunity to slightly redistribute their points, and if they edit their profile to include their character's involvement in Decay, will be granted a few more stat points to throw around. =D I've got a guide written up and will be on Skype pretty much all week to help people construct their profiles! Players: Players may choose to take on two characters - one otaku, one canon. Senshi abilities, skills, weapons and etc. Layout and positioning of revealed areas and people. Sailor Enyalius, her expression grim, kept pace with the Senshi of Wisdom as she moved through their briefing, pointedly ignoring the stares tossed her and Achelois's way as Mercury mentioned the rumors circulating the palace about the senshi group who had ventured to Zenar nearly one month ago. She had heard the whispers wafting through open windows to the many courtyards of the Crystal Palace, had caught the glances aimed at her through doorways as she went from one meeting to the next. She ignored the stares now as she did then: pointedly and with a slight scowl. Let them say such things to her face. She scanned through the page on Zenar's history, seeing no new information presented, and a lot of extra information omitted; she liked it. Short and to the point. Reading it now though made her frown twitch - certain people had known all that information from the beginning, and had chosen to hide it. How would that original mission had gone if they had been given such a briefing the first time? Not that there had been time for one. She moved to the next piece of information, scanning again the information about the new/old leader of the Fairies, and the three that had decided to accompany them on this mission. Lillyena was a planner, Leafe a doer, Mossen... a complainer. Her frown twitched in the opposite direction; she had grown fond of their paranoid little companion, and learning more about him and his background had made his anxiety attacks a little more bearable. Since being in Tokyo he was practically mellow, though melancholy. He had chosen to stay with the group, despite not knowing anything about the Castle they were to face, rather than joining his friends and family on Achelois. She didn't even need to wonder why; if Queen Mana could be saved, Mossen would want to help. And if nothing could be done, he would be of help rounding up whatever fairies they could find to permanently settle on Achelois. The Zenar Forest section was a quick read for her - she had collaborated with many from their team and the fairies to create the packet; she knew the creatures as best as any could, but, again, where they were going they might not find any familiar foes. It was good information, but not necessarily necessary. And, finally, the plan. Her own attack was listed in the plans for entry to the castle. Her eyes weighted on the name, feeling other glances. They knew she was going. How many would drop out, knowing that? As Mercury asked for questions, she closed her packet and returned it to its manila envelope, securing the package and flipping it back over, CONFIDENTIAL marked clearly across the top. She had no questions; she was part of the team that tried to answer questions before they were asked. She wondered who would come up with anything, and how Mercury would choose to respond. Sailor Thestra never even glanced at the information packet, her eyes rapt on Sailor Mercury, occasionally straying through the room to alight on the team that had made the first stab at Zenar. She had a slight pout to her lips; the entire talk of the planet Zenar left a bad feeling in her stomach, bringing to mind the hostile planetary takeovers of old. "Have all diplomatic options been exhausted?" she asked, her timid voice finding strength. Sailor Mita, hearing Thestra's options, finally found an opening to ask the question that had been on her tongue since the beginning, since the first time she had heard of this mission on a far off planet. "Is this a veiled attempt for the Crystal Court to colonize a planet outside the Solar System?!" Sailor Mercury held up her hand to stop the questions before the trickle became a barrage. "As I said before, I assure you that this is no such attempt. Neither Neo Queen Serenity nor her court wish to colonize beyond our system's borders. "Sailor Thestra, we have been unable to communicate with Zenar since its evacuation; we believe that any friendly forces on the planet may be imperiled by the rose of the Agent of Chaos after the turning of their Queen. Diplomacy is, unfortunately, not an option." She awaited further questions. Pluto sat quietly in her assigned place as Mercury spoke, informing them of everything to come, and what information they had. Her hand clenched briefly under the table as she once again brought up the rumors that had spread through the palace. Her lips set in a thin line, but she refused to say anything. Better to let the rumors die, then to feed them by reacting. There were much more important things to care about now. She took a few minutes to read the information carefully. She would begin packing immediately, and be much more prepared for this excursion. They would not be restricted and limited again. Sailor Achelois leaned back in her chair positioned next to Enya's and listened quietly to the Senshi outfitted in blue as she spoke about their mission to take back Zenar. Her eyes remained steady on Mercury as the Senshi addressed the rumors that had spread since they had returned a month ago. She refused to flinch and kept her heart rate steady; she would stand by the actions she and Enya had taken on the last mission. As eyes shifted to those who had been in their group, whispers floated around the room. Her calm face was matched with a calm heart and she relaxed into her chair. Petty rumors were not worth an ounce of her attention or energy. The glances and whispers died down as Mercury glared into the crowd. Mercury moved on to the papers in the envelope and began going over information on Zenar. Achelois took her papers out and laid them on the table but became distracted. Since the fairies had gone to her planet she had been keeping an eye on things as much as possible from Crystal Palace. Though she could tell that they longed for their own planet she felt that they were doing well on hers. Mercury's voice droned into the background along with all of her other senses as she focused on her connection. She could feel the positive energy from her planet helping the fairies; alleviating their anxieties and fear. She was slightly worried about some of the more predatory animals attempting to discover if the new creatures were tasty or not. She had left several of her more trusted companions to guard over them and so far there had been no incidences. She pulled herself back into the meeting room just in time to hear Mercury begin talking about the plan. Since there was still a lot that they didn't know about the castle and the Agent of Chaos their plan could only go so far. The most they really had planned out was Enya's ability being used in the courtyard. Although she wasn't particularly worried she did have a few thoughts on this detail. She had every faith in Enya's ability but they weren't sure who was going to be in the mission yet. What if there wasn't someone who could lead everyone else into the castle? What if there are too many independent individuals in the group? Her mind was plagued with questions as Mercury finished talking about the plan and people began to ask questions. Achelois kept her ears pricked for any question that might hit a topic they hadn't gone over but she kept most of her attention on the packet of information and going over everything she had seen on the planet in her head. One of the problems they had was that she simply didn't have enough energy to heal the group every time they had gotten hurt. The haze around the planet would cut off her connection with Achelois inhibiting her ability to draw energy from it. Maybe she could bring along something physical in her dimensional pocket that could provide an emergency supply of energy. Even better would be if another with healing abilities came along as well. That would ease her burden especially if the group split up. Achelois remained occupied with her thoughts as others asked Mercury their questions. There was no doubt in her mind that she would return to Zenar and win the planet back. As much as she liked having the fairies on her planet, she knew that they longed for their own planet and wished to return home. Her eyes burned with determination as thoughts flickered past. Sailor Andromeda sat silently on her desk, staring at the information packet about Zenar. She wished all of it didn’t just scream failure to her. She’d been quite ashamed about the disaster that they had let befallen the planet, and almost didn’t have the courage to volunteer for this return trip. After all, she wasn’t good enough the first time. Wouldn’t they want more competent people now? People who had been senshi for far longer than she? However, she also knew that the only way she could cope with this loss was to try and fix their mistakes. If she could make it right… if she could make up for all the things she’d failed and couldn’t do… she would feel much better. And everything would be right again. She knew it was an entirely selfish reason to go back; though of course she did desperately want to save the fairies for their sake, too—but not enough that she would let someone else more capable take her place to improve their chances. If she truly put their well-being above all else, that was what she would have done. She listened to Mercury’s speech and felt extremely uncomfortable about how volatile this entire situation had become. Now there were rumors, not only about their failures but also about Crystal Tokyo’s intentions for Zenar. Choosing to read the information carefully instead, remembering how much had been held back from some of them before, Andromeda perused the part about the fairies closely, intrigued by their dynamic and their different personalities. They’d only had the opportunity to work closely with Mossen before, so hopefully the addition of others would help them this time. At least now they weren’t going in blind. At least they knew what to expect… for the most part. She fully intended to never see the forest creatures again, but she knew what awaited within the castle was probably more terrifying. She wished they hadn’t waited a month to do this, but lack of preparation last time had been their downfall. Still, how much was left of Zenar by now? Was there anything left to be saved? And they were taking the heir of Crystal Tokyo with them. That made her both anxious and hopeful. Hopeful because if the princess was half as powerful as the queen, that meant they would have a better chance of defeating this evil plague. Anxious because what if something happened to her? Sure, she had her guardians, but Andromeda would still feel personally responsible if anything bad happened to her. She didn’t think Crystal Tokyo would remain as forgiving if they failed a second time and lost their future queen. Shaking off the morbid thoughts, Andromeda tried not to shiver in the crystal-filled room. At least she had taken part of the month off to go home and fix things with her parents after her near death experiences. She’d told them nothing of Zenar, only that she’d been helping senshi from other solar systems. They wanted her close by now that they’d reconciled, but she had been adamant that this was something she needed to do. Maybe it was stupid to go back to a place where you were almost killed twice, and she knew if she didn’t come back this time it would crush them, but again, there was no question in her mind that she needed to do this if she ever wanted to properly move on with her life without the burden of what happened in Zenar weighing her down constantly. Sailor Ganymede sat beside Sailor Soul, skimming the documents in her envelope with a serious expression. She skipped the wildlife packet entirely, having experienced it first hand, and focused more on the other three. The Fairy Council and Zenar History information were more enlightening reads. Before she had left Crystal Tokyo, she had also heard the beginnings of the rumors circulating in the palace, but they apparently had yet to die off. Just who was spreading it around? She was getting pretty tired of the snide remarks over how incompetent the original mission team was, and this new one was the perfect chance at redemption. Ganymede would not let them fail this time, not when they had all this preparation and an actual battle plan. Sailor Ganymede tensed at her desk when Sailor Mita asked her question. How dare she accuse the Court of trying to steal a planet! Destroying the evil growing in Zenar was far more important than some territory grudge. "What will be the exact chain of command for this mission?" Ganymede asked Sailor Mercury. "For the purpose of clarity." She assumed Princess Small Lady would have more say in how things would go on Zenar than anyone else, but it was always nice to have back up leaders or co leaders in case of emergencies or a forced split of the group. Sailor Soul sat beside Sailor Ganymede quietly as she watched the discussion that was happening. She was still uncertain if it was a good idea if she returned to Zenar, given how the planet had affected her powers and limited what she was able to do while there. It had taken ages for her to finally feel warm again. She was glad to see that in the last month, they had worked hard to gather information. At least this time they wouldn’t be going in blind…or not as blind as they were before at any rate. She raised her eyebrows when Mercury mentioned that rumours had been spread and raised it again when two Senshi whom she did not know began insinuating that this was a takeover mission of Zenar in order to colonize it. Between this rumour and the last one that people were saying about how they had handled the last mission, Soul had been reluctant to return; she felt like an utter failure and so useless on the planet. When she and Sailor Ganymede had talked about if they were willing to return, Soul had been against it at first, however Ganymede had wanted to return to help. A part of her wanted to as well, but the feelings that she had been so useless weighed heavily on her. Ultimately, she was unwilling to let Sailor Ganymede go without her, so here she sat. She flipped through the information packet, glad to see that so much information had been complied. At least they were going into this with a better idea of what was going on than before. Soul listened as others asked their questions, curious to see what the response was. She looked over as Ganymede. She was getting upset at some of the comments being made. Soul subtly placed her hand on the other woman’s thigh and squeezed gently in comfort as Ganymede asked about the chain of command for the group. It was a pretty valid question. They had in a lot of ways suffered from a lack of command. Soul wasn’t entirely sure that if they had a clear structure if it would have made any difference in their ability to complete the task at the time. Amina wasn’t so sure taking the heir to Crystal Tokyo with them was such a good idea. The plan was to try and heal with the Pink Moon Crystal, but what happened if that didn’t work? “Is there an alternative way for us to attempt to heal the Queen and Princess if they have been changed if the use of the Pink Crystal failed? If we take them to a different planet, I may be able to make a contract with a spirit and attempt to heal them,” she offered. It could work, especially if they went to a planet that was well known for healing. Jasper Franklin, better known as Shadow to the public, sat in the meeting room reviewing the information that had been provided to the attendees. He took interest in the checkered history of Zenar and the faeries that had come to assume the mantle of its stewardship. The summary on Mossen was particularly enlightening; the young lad had a tendency to grate on anyone's nerves, but his talents were simply too valuable to be ignored. A quick read of the forest packet yielded a few insights Jasper had not been aware of - the hidden dangers of the poisonous lizards, the goblin-spider turf war, and the presence of trolls. Perhaps those were the Big Ones that their fussy scout had warned of. Aside of that, he was checking the report to ensure nothing important had been omitted. He opened his mouth to speak, but Sailor Thestra, then Mita in turn, posed their questions of the operation's necessity. Mercury was insightful enough to halt further queries until their concerns were addressed. Good move, Jasper thought to himself. The rumors were groundless, but they needed to be quashed in order to avoid the appearance of impropriety. Jasper had made his decision a month ago, but still felt obligated to ask a question of his own for the sake of integrity. He was not known for rubber stamping decisions made by the Queen's court, though that had more to do with his lack of participation in the political climate of Crystal Tokyo. "Will we be taking any measures to conceal our movement towards the castle?" Mercury again held up her hand politely to stop the flow of questions so she could answer the next batch uninterrupted. Looking to Sailor Soul, she answered her first, "We are wholly unsure of what might cleanse the fairies of the evil that plagues them; we can only hope that the Pink Silver Crystal's abilities will act as an appropriate catalyst. If that fails and a second attempt can be made, we leave it up to the away team to make the decision to try." Her eyes shifted focus to Shadow, "The intended plan is to take the castle by surprise and without delay to lessen the chance of countermeasures. Concealment will be put behind expediency." Finally, to Ganymede, she replied, "While I cannot share that information at this time, I assure you that before the team leaves their leader or leaders will be duly and publicly appointed." Experience, personality types, and the mission parameters will be taken into consideration when deciding the leaders of this party; however, as I am as of yet unsure who is coming, those leaders will only be announced when the RP officially starts. If you, the RPer, have a character you would like to nominate as a leader, contact me privately on Skype and I'll take your suggestion into consideration! It had been a month since any of the senshi and guardians had seen the infamous Sailor Leviathan. Shortly after they arrived back on Earth and her identity was exposed as flakey reporter Rita Sharp, she was summoned back to her guardian planet for "bogus training or something." Oddly enough, she seemed rather glad to see the others again, namely Jasper and Sailor Soul. Not much had changed about the senshi, though it was apparent that her tiara had changed. It went from a basic gold to a rather royal pattern imbedded with pearls. If asked about it, she'd shrug and merely say it was "just decorative." The senshi sat quietly by in the rather tense meeting. From far off, one could mistake her for the mature, elegant princess she was supposed to be. She hardly moved and remained perfectly calm throughout the discussions. This, of course, would only be if someone was viewing her from very, very far away. Sailor Leviathan had drawn bright cartoony eyes on her eyelids in what appeared to be a vain effort to hide the fact that she would likely fall asleep during the meeting. She occasionally wheezed slightly in a rather cute snore. It seemed although the senshi had grown in power and respectability, she still had not lost some of her old ways. "Are there any other questions?" Mercury asked, looking around the room openly. Last day to sign-up is today! I've gotten 2 nominations for a leader and one they admitted was a joke ^^' Even if you don't plan on participating, you can nominate one of the event senshi for a position of leadership! Also remember that canons are accepted! I'll be updating the list of participants in the top post momentarily. You'll have til the end of the day today to get in! "Will we be able to maintain contact somehow this time?" Pluto looked up. She could still remember the shattered remains of the communicator she had been given from last time. The magnetic field of the planet had proven too much for the little device. If they were to be on their own again, it was fine, but for the Queen's sake, she sincerely hoped they would be able to communicate somehow. She would probably be worrying horribly over her daughter. Not that she couldn't blame her. She glanced at Chibiusa, mildly worried herself. The young princess had certainly grown up, and she had faced forms of Chaos in the past. But was she strong enough to do it on her own without her mother now? Pluto banished the thought, reminding herself that she had to have faith in the young lady. Sailor Mercury shook her head once, negatively, and voiced, "Unfortunately not; we have been unsuccessful in passing any frequency through the miasma surrounding Planet Zenar, and since the return of the first team, the miasma has thickened. This leads us to believe that, as before, even contact between a senshi and their planet may be forfeit, and, again, we urge for urgency in this mission, as taking too much time may affect a senshi negatively." Mercury's hands on the podium twitched, the slight movement only viewable by the Solar Senshi sitting behind her. She was more uncomfortable than most to sit on the sidelines, blind, as others went into danger. She knew that, directly behind her, between the throne-like seats of Neo Queen Serenity and King Endymion, her podium and her body shielded their nervousness from view. While she knew their faces to be calm and stoic, their hands were dropped between the seats, their fingers intertwined tightly. They believed in their daughter, but releasing her into the universe and a planet of darkness was not the easiest first solo mission for them to allow her on. They were grateful that Pluto had agreed to return to the planet, knowing that, even above all others, she would keep Small Lady safe. Sign-Ups will continue until the new board opens tomorrow morning! The room emptied of all but those who would venture to Zenar, and Mercury nodded to those familiar faces. No new senshi had volunteered, and the original team's numbers dwindled. Sailor Bellatrix was needed back on her home world to protect her Princess, and Sailor Venus... despite Venus's original wishes, they needed her elsewhere to serve as an official representative of Crystal Tokyo. It seemed that when it rained, it poured, and resources were beginning to stretch a little too thin as elsewhere in their sector wars were brewing and Chaos regenerating. She had personally hoped that the Sailor Quartet would accompany Young Lady on this outing, but despite their wishes, they were too newly awakened. The events at the Galaxy Cauldron had been their only experience as Senshi, and while they performed magnificently, they were still adapting to their powers. Without minor villains to hone their skills, as she and her friends had honed theirs, they were hesitant to send them up against a foe that could easily match or surpass Metallia, if the data were to be believed. So these were they. The group that would attempt to resecure Zenar. "Thank you for volunteering. Our trust and thoughts will go with you, along with any support we can offer. The leader of this mission will be Sailor Pluto, with Sailor Enyalius as second in command." She paused, letting the information sink in. They had known these two to be volunteering from the beginning, but had waited until now, until they were committed, to make this announcement, and hoped that none of the assembled would choose to leave rather than follow the chain of command she had just solidified. The choice they had made - she and the inner senshi - was based on experience. Pluto's years of experience and decades of knowledge would serve them well, and they had hoped that making her the primary leader would solidify that her thoughts and commands were to be followed without question. If Pluto saw something amiss and connected it to something she had seen before, she would be able to make the call and have others follow, possibly saving all their lives. While Pluto was still somewhat an introvert, her relationship with Saturn and Young Lady had awakened her maternal instincts, and with so many fledgling senshi on this mission, an almost-motherly leader might give them the security they needed to do their best. Enyalius, on the other hand, seemed to fit well into the roll of an expediter. Through the debriefing of the events of 6 months ago, they knew that Enyalius could lead, and get things done quickly. She and her partner Achelois had, by their account, which had been checked with Crystal Tokyo resources, faced and defeated six incarnations of Chaos by themselves, so their experience in the matter was not to be taken lightly. Her impatience towards the other members set her back and out of the running for being the leader, but they could not deny that such impatience was needed when time was of the essence. She turned and the door opened to admit the three fairies that would return with this group to Zenar: Lillyena, Leafe, and Mossen. The trio, dressed in their traditional floral wear, were accented with tiny Earthen improvements: metal blades, made for their size, bows and arrows made with stronger material than they could produce on Zenar, and tiny bags of sleeping sands and awakening salts, in case they found themselves face-to-face with a changed old friend. At this point, Young Lady stood and walked forward to stand beside the fairies, giving them her best supportive smile. In a warm flash, she transformed into Sailor Moon, and the briefing ended. The group was led to a dining hall, where they were fed meals specifically balanced for withstanding physical activities, to provide long-lasting energy, and to remain full for as long as possible. Young Lady took her meal and shared a supportive smile with Neo Queen Serenity and King Endymion, and she moved to sit with the away team, introducing herself quietly and nodding heads as she heard their names in return. Enyalius was surprised but determined as Mercury called her name as second in command; after the heated debriefing upon their return to Zenar, wherein both she and Achelois were very much in the minority in their initial opinion of the mission, she figured she'd be scrubbed from any other duty for Crystal Tokyo. She definitely felt like she had burned some bridges with some of the Solar Senshi, but to be designated as second in command... Her eyes found Neo Queen Serenity, who looked forward stoically, and she felt some small understanding. Whether the Queen really was that forgiving of people or she were calculating, Neo Queen Serenity had allowed her to be chosen. With the Princess accompanying them and Zenar's effect on long term anti-exposure to their guardian planets an unknown, she felt she knew what her role in this mission would be. While Pluto would make the big decisions, she would advise and keep them moving forward at all costs. She could make the hard decisions, she could come off as the bad guy if necessary. And, as before, if they had to split, she could lead a splinter group on a separate mission. But, unlike before, now that she was designated a leader, she would start off this mission differently. The bonding the team attempted mid-mission last time would be initiated before they even reached the planet, so once they touched down they would know each other, at least in passing. She would hear from their own mouths their strengths and weaknesses, a bit of their backgrounds; they would get a sense of each other. As she sat down with her tray of bland but no-doubt nutritious food, she waited for everyone to be seated before politely clearing her throat, "Last time we did not get to really know each other before the mission began, and I believe that to be a severe oversight, one that I would like to remedy now." She looked away, breathing out slowly, steeling herself for the leadership role, "Our group has gotten smaller, and I'm aware that many of you are already close with each other, but if we could go through introductions as though we had just met I would be appreciative." She glanced to Achelois to steady herself before thinking back to her training on Enyalius all those years ago, looking for how her old instructor had made her introduce herself to her squad mates. "I'm Sailor Enyalius of planet Enyalius; 'Enyalius' is fine," she started, no hint of embarrassment at repeating a fact she knew all of them already knew. Well, maybe all but the Princess. "I excel in hand-to-hand combat and tactics; I have a military background and have, for the past - " she paused, looking to Achelois for clarification, "fifteen or so years, been planet-hopping with Achelois to help out with chaotic infestations." She ended her introduction and looked around, waiting for someone else to start. As the meeting room cleared out, Sailor Ganymede realized that there were less people on this team than there were on the last one. She wondered if their smaller number would weaken them at first, but since they were going for a stealth mission this time, maybe it would help. Sailor Pluto being selected as leader wasn't a surprise to her, but for a moment, Sailor Enyalius was. Ganymede had gotten the impression that her earlier attitude had lost her a few friends, but that had apparently not affected the Queen's decision making. If Neo Queen Serenity trusted her enough, Ganymede would not protest. She had never bothered to entertain the idea of being leader herself, as she personally felt she was a better follower. Placing Enyalius in second started to make more sense once they had started to eat dinner. Her 15 year resume of defeating Chaos was impressive, and it was nice to know there were others who worked military style. Ganymede was willing to go with introductions, since it would bring the Princess up to speed. And if anyone had gained any new skills between last time and now, they could inform them here. "I'm Sailor Ganymede, General of the moon Ganymede." she said, putting her fork down. She was already done eating, the blandness of the food not even bothering her. "I'm a close to mid range fighter, and I use lightning and metal." Enyalius raised a brow at the senshi, just then connecting the dots that the young woman in front of her was the self-same Knight who had accompanied them the first round. Thinking back to their first mission on the planet, Enyalius smiled teasingly and added to Ganymede's description without missing a beat: "Sometimes somewhat explosively." Sailor Moon was grateful for the introductions; while she had seen each person in passing and knew of them, it was a relief that they would specifically introduce themselves and their backgrounds. She made a point to commit each name to memory. Achelois had faith in her friend's leadership abilities however she was mildly surprised that after the last debriefing they still placed Enya as second-in-command. She wondered how the others would react to her and how Pluto would interact with her. As she thought she shrugged to herself and followed the others out of the room. She noticed that their team had lost some members but had also gained one; Sailor Moon, the daughter of the King and Queen. Although the girl looked capable she was still young and Achelois made a mental note to keep her eye on her. As they reached the cafeteria and sat down to eat what she assumed to be nutritious food Enya began having the group introducing themselves. The corners of her mouth curled up when Enya glanced her way during her short introduction. She nodded in agreement with Enya's statement, glad to be of some comfort no matter how small. The only one who she didn't recognize spoke up next and introduced herself with the same name and abilities as the knight on their last mission. She quickly put things together and laughed when Enya mentioned Ganymede blowing up the acid lake in their last adventure. Even though the accident had caused a lot of damage the fact that she had teased the Senshi about the incident meant that she didn't hold it against her. Achelois waited for a moment before lowering her eating utensil and speaking herself. Her voice steady, she looked around at the group and said, "I am Sailor Achelois of the planet Achelois." She allowed a moment for anyone who didn't know her to get her name. "My powers are in the realm of healing and I can manipulate the natural energy around me." As she spoke she continued to look around at everyone in the group. She offered a gentle smile before turning to Enya and finishing her introduction. "As Enya stated I have been travelling with her for many years helping planets to drive out any Chaos. If you have any questions about our past adventures feel free to ask." She flashed a wide-tooth grin at her friend before turning back to the table to allow someone else to speak. Shadow made short work of the meal offerings afforded to him, never being one to pass up an opportunity to eat. He was far too active to work on an empty stomach. While he waited for his companions to finish, Shadow chose that moment to begin reading a brightly colored newspaper. News was pushing it, to be honest. It was a copy of the Lunar Star, a tabloid with a reputation for creative and highly distorted stories. He listened to the other senshi introduce themselves, then when a pause in their meet and greet presented itself, Shadow spoke up to gather their attention. "If you don't mind, everyone, I'd like to introduce myself with an excerpt from one of our friends." Of the many celebrities I stalked and written terrible lies about, there was a mysterious figure named Shadow. I dreamed up so many scenarios of what he might have been searching for in his travels. Fame, money... a handsome boyfriend? These were the questions I initially asked myself before embarking on a two-day investigation with the legendary traveler and sailor guardians. I will say that I know now a shadow of his dark, tragic past. What I can tell you is that it shaped who he is today. Certainly, it has no effect on him now. He seems far too cool for that. That begs the question of who could truly trouble a man of his stature to this present day. What makes him shiver and whimper in his sleep, clutching his precious teddy bear, Sailor Uranus-chan? Could it be ghosts of former high school bullies, obnoxious MMORPG gamers or memories of telemarketing call centers? The world may never know and, quite frankly, I'm not going to be the one to reveal it. Once he was finished reading the article aloud, Shadow folded the paper and tucked it away into his jacket. "That was pretty good, except for one thing - everyone knows that true PKers just scream into phone jacks." Hopefully, given the tone of both Rita's article and his own lighthearted reading, no one would have actually confused it for substantiated information. Rising up from his chair, Shadow stood before the other members of the expedition. "I'm Jasper Franklin, but you can call me Shadow if it makes you happy. I favor melee combat, but I can use a bow or other ranged weapon. I'm an opportunist at heart and generally do better at thinking on my feet rather than in a planning room; if Enyalius makes a plan that leads to us having to connect two pipes, I find a way to connect those pipes even if they present us with square pegs and round holes." Shadow paused, gathering his thoughts as the other senshi listened to him speak. There was a lot of mystery surrounding his person, but rather than dive headlong into sad stories, he'd break them down into managable chunks that could be visited later. "I also wield psychokinetic power that is aspected to darkness. As I was deeply touched by the light of the Silver Crystal, calling on such energy is a difficult task; I must be efficient and selective in its application. However, this is a small price to pay to be free of the taint of Chaos." Shadow wondered how Enyalius would react to the implication that, at one time in his life, he was one of the things she had hunted and fought for the past fifteen years. Many thanks to CJ for giving Leviathan's special touch to my original article idea. Andromeda listened to the announcements of who would be leading them and found no problems with it. She thought the choices made sense logically and it was something she would personally support. As they all moved to the dining hall, she wondered how she could eat when all she could feel was anxiety and dread. There was determination hidden beneath all that too, and a desire to start moving since they had wasted enough time letting the planet rot away. Nevertheless, she forced herself to finish her meal, knowing how important it was to start off strong. She looked at the pink-haired senshi-slash-princess curiously as she ate. Sailor Moon was the only new member in their group, and she had to admit she was worried about the smaller number as well. If ten people couldn’t do it last time, could less do better this time? She was honestly surprised when Enyalius proposed a getting to know each other conversation. She would be the last person Andromeda would expect that from, normally. But maybe they were all adapting and readjusting, trying to find better approaches the second time around. Despite spending two days with these other senshi, she herself had not really had the opportunity to really get to know any of them, and with the constant action happening in Zenar as well as the threats to their lives, there had been hardly enough time for that. So she was glad to be hearing things that she never even knew of about these senshi who’d been her companions for days, and some even from way back during their previous mission. For instance, she was really interested in the fact that, somehow, Ganymede was a regular female senshi now. Was she still the same person as before? How did that work exactly? It was the first time she’d seen anything like it. She’d pretty much figured out that Enyalius and Achelois were long-time partners, but she had no idea just how long they’d been fighting. Or that Shadow had actually been tainted by Chaos himself. There were all these little—but really big—things that they never shared with each other. Although compared to their interesting histories, hers probably paled in comparison. “I’m Sailor Andromeda of the Andromeda star. My powers are based on ocean and metal. I can manipulate chains… which were once used to bind me. That was how I was awakened, actually, when I was about to die as a sacrifice.” She bit her lip and continued quickly, not wanting to feel awkward about revealing a deeply personal part of her background. "I have no idea who Rita Sharp is or who could have possibly written that article," Sailor Leviathan said with a scrunched up face. She had been exposed as the sleazy reporter, Rita Sharp, when she had returned from their first mission on Zenar. Since then, she had vowed to give up her job and return to Planet Leviathan to become a better senshi. She crossed her arms and sighed. She adjusted her tiara, which had somehow changed over the course of her journey. It was more princess-like, with added pearls and etchings. She insisted to those who asked that it was merely decorative and seemed embarrassed talking about it. "Dang, Andromeda," she chimed in. "Those chains used to bind you? That's so metal." She then turned toward the leader of their group. "Yo, New Sailor Chibi Moon Part 2! Heheh, just kidding. I know you're Sailor Moon now. My name is Sailor Leviathan. I am known as Princess Leviathan to my people who reside on our very large, very terrifying gas giant. It's huge. "I'm a newly reincarnated scout, though I'm sure I'm been reincarnated many times so it's really no big deal. Anyway, I totally helped out in the last mission with my amazing powers. I control pure energy and water sometimes." It was a lie. She actually controlled harmless illusions made from water droplets, but she could summon physical water based attacks if she really tried. "In combat, I should be kept toward the center of the group or at the back. Whatever gets me furthest from the enemy is the best." Her face was incredibly smug. It seemed that some of her old tendencies hadn't gone away. She leaned back comfortably in her chair when something about Ganymede caught her eye. She nearly fell out of her chair. "YOU'RE A GIRL. YOU WERE A MAN BUT NOW YOU ARE A GIRL. WHAT HAPPENED. WHAT ARE YOU. WHAT IS MY LIFE." Soul listened as each person introduced themselves, smiling slightly as Enyalius teased Ganymede gently for nearly blowing them to smithereens on the last trip out. She was glad that Pluto was to be leader and was surprised to hear that Enyalius and Archelois had so much experience fighting Chaos. It was sure to come in handy on this mission. She still wasn’t sure about the heir to the throne coming, Sailor Moon, or Sailor Chibi Moon as Soul was more familiar with. It was hard for her to reconcile the little girl she knew back in her modern day Tokyo to this future version. Everyone has to grow up at some point or another I suppose, she mused to herself. She looked down at the food they had been provided with. She was sure that it was very nutritious and good for her and would help keep her full on the mission, but would it honestly kill them to put a little flavor in it? She grimaced slightly as she took another fork full. As she continued to look around at their gathered group, Soul was glad to note that Shadow had returned. She had missed him when she had returned to her own time. When Andromeda told them that she had awaked as a Senshi while being sacrificed, all Soul wanted to do was reach out and comfort the woman. She could tell it was hard for the woman to say what she had but Soul felt that she was incredibly brave for sharing something so personal with them. She felt her eye brows knit together in annoyance when Leviathan decided to be herself and obnoxiously comment on Ganymede being currently female. She decided to let Ganymede deal with it, only offering support by squeezing her knee in comfort until she felt she was otherwise needed. It was her choice after all how much she decided to share about her powers. After that rukus was dealt with, Soul introduced herself. “My name is Sailor Soul. If I have a home planet or star or am reincarnated, I have no idea, I don’t remember. I live on Earth and I fight for that planet and her solar system. My powers are based on spirits, souls, and the underworld. I can create energy blasts to injure or destroy enemies, as well as summon beams from the underworld that will either drag the enemy there or begin to drain them of their energy, depending on how big they are. Needless to say I am a ranged combatant although I can fight melee in order to defend myself if the situation arises,” she explained. “As many of you remember, I am also an empath, which means I can feel other people’s emotions. I use a mental shield so I don’t feel everyone’s emotions around me at all times. I am also able to communicate with spirits and have been able to see them and communicate with them since I was a little girl,” Soul paused for a moment, trying to not let memories of her time in the insane asylum take her over. Sometimes the memories were hard for her to remember and other times she was fine. With how stressed out she had been having to return to Zenar, she was surprised that they were coming back with a vengeance. Sailor Ganymede resisted the urge to try and respond to Enyalius' poke at her accident the last mission, settling on sinking a little lower in her chair and glaring a bit. They were never going to let her live that one down, were they? On the inside, she was relieved that no one seemed mad at her for it anymore. Ganymede had no idea how Shadow had gone from working for the Dark Kingdom to being an ally, but his explanation of being exposed to the Silver Crystal made sense. He had been purified in a way, which made it easier for her to trust him. Andromeda's past was unexpected. Why would someone try to sacrifice her in the first place? And now she used the chains as weapons? That was pretty awesome. And Sailor Leviathan was as charming as ever. And by charming she meant incredibly annoying. Ganymede blushed at Leviathan's outburst calling so much attention to her different form, but Amina's quiet support reminded her to try not to let it sink in too deep. Instead, she turned the tables on her. "I'm a senshi, like I said before. Didn't you tell me a while ago that only girls were senshi?" Sailor Ganymede asked, grinning at Leviathan's confusion. "More seriously, my Sailor Crystal doesn't really care what gender I am. It gave me two different forms instead, and I can sort of choose which one to transform into," She explained, scratching her cheek. She didn't really see the point of mentioning her trouble consciously choosing what form to take, it didn't really matter. And then politely shifted to Sailor Andromeda for her introduction, a polite reaction that soon turned to specific and intent interest as elements of Andromeda's past were revealed. Her brows furrowed - hadn't Andromeda returned to her planet recently? She had come to the call for aide during their battle against the Collector from her planet, correct? She thought back, trying hard to connect fragmented memories from months ago as the rest of her mind carried forward in full swing -- if she awakened as a sacrifice in chains, did she not awaken on her own planet?! If she did, why in the world did she continue to return?! Enyalius's hands moved from atop the table to her lap, each forming a tight fist on either thigh as her brows knitted even tighter, making an effort to separate her experience from Andromeda's, trying to come up with reasons for why Andromeda would willingly return -- maybe... maybe her experience was isolated, maybe she had been kidnapped and then offered, maybe it was Chaos in an attempt to rid the star of a senshi before she could fully mature -- her thoughts seemed to slow and calm as these ideas came to mind, and slowly her grip relaxed. Taking a quiet deep breath, as understated as she could, she dropped back into the flow of conversation as Leviathan made her introduction, and immediately her brow raised further and further with incredulity. Did she honestly believe her own words to be true, or did she amuse herself with this stretch of the truth? Did she hope that by speaking what she like, eventually it would come true? Her description of her powers caught Enyalius by surprise, her brows furrowing this time -- she thought Leviathan's powers lay in illusion, but there was that last burst when fighting against the dragons... this ally was one to watch, that was for sure. When she suddenly yelled, Enyalius held back a chuckle - for a reporter, Leviathan seemed to have missed some subtleties. Soul's introduction was logged away into Enyalius's mind as the senshi categorized Soul's abilities, to be sorted through at a later time, else brought up when a situation might call for one. Ganymede's following response to Leviathan's speech gave Enyalius pause; it might be her imagination, but she thought she noticed something between the two of them - Ganymede and Soul. The awkward tension that had been between them the first time was absent from their body language now; She looked between the two of them - what had happened there? ... but that wasn't any of her business. They seemed to get along fine, so whatever had happened between the two of them shouldn't affect the mission. Maybe keep them together whenever possible though, just in case. Young Lady listened carefully, sometimes a smile pulling at her lips, sometimes an emotion furrowing her brows. Sailor Enyalius and Sailor Achelois - she moved her lips minutely to attempt to wrap her lips around the foreign names; with their introductions she better realized why the former was designated as second-in-command. Fifteen straight years of fighting... and away from home... she wondered if they went back to their planets often, and wondered what kind of places those planets were that they could stand to be without their senshi for so long. Her mind threatened to sidetrack, thinking back on lessons about their region of the galaxy and the general theories about the dual nature of chaos and senshi, but she refocused as quickly as she could as Mr. Franklin -- Shadow -- she corrected, introduced himself in an official capacity. She had seen him around, knew of him and a little about him, but had never really had a full conversation with him without her father or friends with her. As she spied the Lunar Star in his hands, her brow quirked almost comically, her view of him changing almost immediately. He read that?! Her eyes instinctively moved towards the senshi that had been outed as the writer of those articles and back again; she used to read those with Juno, giggling over the crazy stories and getting a little frustrated at some of the more hurtful rumors Rita Sharp spread, but as Shadow started to read she started to understand why he had that copy with him. That he addressed Rita as a friend made it even clearer: rather than holding on to the article because it mentioned him, Young Lady wondered if he hung on to it because it reminded him of the friends he had made and might not be able to have kept in touch with between the events on Zenar and now. She wondered, too, if the courageous people surrounding her might count her as a friend before the end of this... Shadows admission that he had once worked for Chaos but had been returned to the light by the power of the Silver Crystal immediately sparked a small kinship between Young Lady and her father's friend. As Andromeda made her introduction, Small Lady's heart went out to her. She wanted to hear more about her story, she wanted to see if she were okay, how she got through that, but the way she bit her lip, Young Lady knew that now was not the time to ask her about it. Sailor Leviathan's segue brought a smile back to her lips, and she rolled with Leviathan's humor and outbursts like a champ, taking everything she said with a grain of salt. Her exclamation about Sailor Ganymede threw her off a bit, but she had been introduced to a Knight Ganymede once before, and wondered if that was a connection Leviathan was making, and then wondered if that connection were true or false. Young Lady remembered a bit about Sailor Soul from sporadic visits to the 20th century, but hearing about all of her various abilities aligned to the supernatural was interesting - she wondered what kind of stuff the dead talked about... but then the mention of Zenar, the planet they would shortly be leaving for, brought her mood back to the very serious present. Ganymede's reply was strange, yet informative. She didn't know that such things happened with Sailor Crystals... but then her Sailor Crystal could exist outside of herself for large expanses of time, so who was she to talk? Looking around the table, she realized that only she and Pluto had yet to speak; if these introductions were for her benefit, would Pluto reintroduce herself? ... and did she really want to be the last to go? With a deep breath and a semi-apologetic look towards Pluto, she broke into the small silence left after Ganymede's statement. "I'm Sailor Moon," she chose; they knew she was a Princess, but she didn't want to be seen as princess with them. She was a Senshi, like any of them, and she didn't want to start out with any sort of preferential treatment, especially from her own mouth. "Guardian of the Earth-Moon System and of Crystal Tokyo. My powers are influenced primarily by light and - " she froze - how else would she say "glitter" without saying glitter?! Andromeda used the chains that bound her to fight! Glitter just sounded -- aha, she had it! She barely missed a beat, "crystalline shards. I'm not that great with hand-to-hand combat or anything within close-range;" not that admitting that wasn't embarrassing, "but what attacks I do have, I have quite a bit of practice with." What was happening to her introduction?! she mentally fretted, nerves starting to get the best of her. Darn glitter derailed her train of thought and she probably looked like a spaz. Taking a bit of a breath, she soldiered on, sticking with facts. "I am dependable and can hold my own in a fight. I have used the Silver Crystal in the past, and have control over my own Pink Moon Crystal, and I am determined to do my best to save the fairy people of Zenar." Spaz, spaz, spazzity spaz spaz, she thought of herself, somehow managing to keep her face neutral. Maybe something about the title Sailor Moon cursed its user to occasionally make fools of themselves in public? Watching the Princess stumble and continue on with her introduction was almost endearing to Enyalius; despite what she claimed, Enyalius would make sure an eye was kept on her during battles, just in case. Sailor Pluto sat at the table, eating in relative silence. She was mildly uncomfortable at having to be the leader, but trusted her Queen, and believed her experience would help them through the situation. She was surprised Enyalius had been elected as a co-leader. She respected the senshi for her powers and strength, but she still felt the senshi had much to learn about working with many others. Perhaps that would be accomplished this time around, especially since she seemed to be taking somewhat of a first step, and learning about her teammates, and they would be able to bond together fast. Many of them already seemed close, her eyes darting between Shadow, Soul and even Leviathan. A small smile touched her lips as she saw the young woman. She remembered what she had watched and been told. Sailor Moon's tiara had originally changed its shape often when she had first transformed, and when she unlocked new powers. So surely the girl had unlocked some powers or new facet of her personality. Perhaps she wouldn't be so annoying now. She almost chuckled quietly when Soul said she had connections with the underworld. “Perhaps you are from one of my moons, Sailor Soul?” She smiled softly to the girl. “After we have saved Zenar,” She had to say it, to instill confidence in herself and the others. She had to erase the notion they would fail again. “I could take you to visit my moons. You might feel a connection with them. Maybe you are Sailor Charon, Styx, Nix, Kerberos, or Hydra. Personally, I believe Charon or Styx might be more likely concerning your abilities.” She took a small sip of her drink. She listened as the conversation continued, noticing Lady's motion of a nod. She gave a reassuring smile and listened with mild pride and amusement as she introduced herself. She could see her struggling, the vague crease in her brow and the panicked light in her eye, just like her mother. As she finished, Pluto reached out and touched her hand gently. “You have done many things none at the table can claim. You have shown you have great strength of will, and I've seen you hone your powers. You're so much like your mother, in so many ways.” The last was a compliment. Pluto could still remember the days when a young princess idolized a heroic protector of justice, and wanted to be as strong as her. Now that everyone else had spoke, Pluto took a deep breath and began to play along. “I am Sailor Pluto. I am unlike all of you, in the fact that I came into my powers in the ancient Silver Millennium, when Queen Serenity ruled, and so my history is a bit too detailed to describe. I can say guard the Time Door, in the dimension of space. I am also a senshi of the underworld, like Soul...though unlike her, I cannot communicate with the dead. I also can control time, though it is taboo for me. But I can see through time. And I have seen many events...” Her eyes roamed over the group at the table, for a moment, her garnet eyes as ageless as she was, and knowing. Shadow listened, considering the perspectives of the speakers that followed after him. It was a bit hard to read Andromeda's emotions at times, but being offered up as a sacrifical lamb would have gone far to color her perspective. He had made no small amount of personal contact with Soul and Leviathan in the previous mission - the former wielded significant psychic power that concerned the spiritual realm, while the latter had all the tact of a kid sister who loved to tell wild-eyed stories without much concern for their plausibility. Curiously enough, Young Lady - the crown princess of Crystal Tokyo - had chosen to introduce herself as Sailor Moon. Shadow imagined that she wanted to take a more direct role in their efforts to heal Zenar, doing so on a personal level without consideration of her inherent royalty. Sailor Moon had watched him closely while he spoke; was it something about his past experience with Chaos? He knew plenty about the precious princess and daughter of King Endymion, but he knew precious little about Young Lady. Somehow, the fact that she was approaching their daunting task as a sailor senshi was a comfort rather than a serious concern. Her supposed social awkwardness was not important to Shadow at all; she had heart, and that was enough. There wasn't much that Shadow could say for Sailor Pluto, either. The two had worked together during the previous campaign, assisting each other against the abundant webspinners that encroached upon Zenar's forests. Shadow believed she was fully worthy of the leadership role entrusted to her by Neo Queen Serenity, yet he had sworn to never again follow orders without giving them due consideration. Clearing his throat, Shadow then spoke up after the elder Senshi had introduced herself. "Pluto, Enyalius, I'd like to put one question to you before we go. In terms of formation, how would we proceed into the castle?" If he was acting as second in command, he would have already spoken his thoughts on how to structure their party to accomodate each member's strengths and weaknesses. Instead, Shadow wanted to hear the answers from their appointed leaders. Sailor Leviathan's eyes went incredibly wide at Sailor Ganymede's explanation for her alternate form. "Hey! You called yourself Ganymede Knight when we first met, not Sailor Ganymede! How can you just switch between forms? Isn't one stronger than the other? What's the use of changing your gender if inevitably one form is going to be better?" It seemed that Leviathan wasn't bigoted, so much as she was simply confused by Ganymede's need to change her gender in the first place. She didn't seem to think like a normal sailor senshi. It was clear trying to rationalize things like magic and power in her head wasn't the right way to go. She perked up as soon as Sailor Pluto suggested that Sailor Soul's origin could be of one of her moons. "Hey, don't listen to Pluto. I can sense it. You're definitely the guardian of one of my moons, sister. Wait, does Planet Leviathan have any moons? I think we have a man made satelliete. Yeah, you're probably the guardian of that, which would make your name Sailor Satellite Dedicated to Our Lovely Princess Leviathan. That sounds right." She smiled smugly again. It would likely hard for the others sitting at the table to tell if she was joking or not. Though she probably shouldn't have been joking about something as serious as Soul's origin. As talk began of plans and the upcoming operation, Sailor Leviathan for once went serious. She glasped her hands on the table and spoke arrogantly. She didn't seem to care that Sailor Moon was sitting among them. It was clear that she thought of herself on the same level as her. "I should probably let you guys know right now that this isn't a charity mission for me. Our trip to Zenar last time was way too dangerous for me to be doing it for free. I know you sol senshi are so proud and loyal to your Queen, but I have no loyalty here. I'm only doing it for the goblins. The fairies have found temporary safety here. The goblins have no such thing. I'm either helping you guys save that planet or finding a way to get the goblins to Leviathan so they can live in peace." "Hey, I never said one was weaker than the other," Sailor Ganymede said, losing her patience with Leviathan. Why did she have to be so thick headed? "I'm just as strong either way! This form is just faster, and I thought we wanted to get this mission done as quickly as possible. And what did you do since last trip, get a fancy tiara?" Ganymede was wearing less armor than last time, only covering her shins, torso, shoulders, and forearms. She was far more agile without all of her plate armor weighing her down. Sailor Ganymede rolled her eyes at the jab on Sailor Soul's planet, but the thought of her girlfriend being from a Plutonian moon was an interesting one. Did Soul have a hidden past too? Surprising even herself, Ganymede was not upset over Leviathan's loyalties. She understood that kind of distinction, as technically she only hade to serve Neo-Queen Serenity because Jupiter served her. It was less direct loyalty and more of a feudal system chain of command. But over time, she had come around to liking and Respecting the Queen as a person too. It was hard for her to imagine Chibiusa as being Sailor Moon but she supposed that the mantle had to pass on at some point. She had that same awkwardness that her mother had at her age and it made Soul smile to see it. Looks like some things never change. Soul smiled when Pluto offered to show her the moons around her planet. It made sense that since Pluto and she had some powers in common, that she may be the guardian of a moon that orbits Pluto. ”I’d like that,” she responded, grateful to the other woman. Soul glared at Leviathan when she didn’t leave Ganymedes gender switch alone. Didn’t the other woman ever take a hint or know when to shut up. When she began directing spiteful comments towards Soul for not having a planet, or not being able to remember having one and saying that she could always be the guardian of her satellite around Leviathans planet thus, implying that she was worth less than Leviathan, pushed Soul over the edge of her patience and tolerance. She stood up, her chair clattering to the ground with the sudden movement, slamming her hands to the table. “I think you better keep your mouth closed before someone closes it for you,” Soul growled. Her eye began to shift from their normal emerald green to a purple colour, glowing slightly as she subconsciously reached out to the spirits in the area, gathering power. Pure energy in the same colour of her Soul blasts began crackling along her hands and forearms in her anger. “You have already crossed several lines by opening your ignorant mouth. It does not matter if Ganymede’s form is male or female. She carries a senshi crystal, which should be enough for you. You call yourself a senshi yet you seem to have little care for others around you or the fact that if we do not defeat Chaos on Zenar, the entire solar system is at risk. You believe that most people and living beings are beneath you and only care about your wants and needs. You are an incredibly selfish child. Usagi had more grace and tact when she was a lot younger than you. She may have been a cry baby but she was NEVER selfish and she would NEVER throw another person under the bus.” The energy crackles grew in size and intensity, beginning to leave scorch marks on the table as Soul’s ire grew.